The first in the BHS Essential Horse Knowledge Certificate series, this is the perfect course for anyone who wants to learn more about the correct care of horses. Health and Safety, Horse Behaviour, The Stable Environment, Types of Bedding, Grazing, Grooming, Care of the foot, Saddlery, Horse Identification, Information on where to go for Professional Advice. 3 Learning Packs with a workbook to complete as you work through the course. 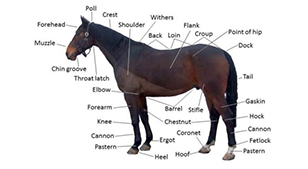 This is the first level of the new Essential Horse Knowledge Certificates. After completion of the entry level, you can progress to the Level 1. With these two levels completed you are exempt from the theory unit of the BHS Stage 1 Horse Knowledge and Care, which is the first in the professional series of BHS exams.